67 Not Out: A Dream Or An Alien Encounter? I honestly don't know what to make of the following alien or UFO encounter story sent to me by email. I'll let you decide for yourself. "I read your recent post about an alien and UFO encounter and wondered if you would be interested in my story, but please do not publish my name or email address. I live in the Wiltshire (England) area, which seems to be a place for UFO sightings. I remember the first encounter I had when I was a teenager. A small creature with big eyes was in my bedroom. I remember being touched by it and then falling asleep. I woke up hours later with an aching thumb. A few days after this dream I noticed a black mark under the skin on my thumb. This isn't very clear now, some thirty years later, but it can still be seen. It's in the crease of the thumb on my right hand and is black in colour. Since that experience I have had another four similar dreams or encounters, the last being on July 10th this year. On this occasion there appeared to be several small creatures in my bedroom and I felt that I was unable to move. My wife was in the bed next to me but she didn't wake up even though I called out her name. It then felt as if I was floating and the next thing I realised was that I was lying on a cold bench or table with my hand in some sort of vice like contraption. It didn't hurt but tingled. The next thing I remember was my wife nudging me saying she wanted a cup of tea. I struggled out of bed and felt very drowsy and my right hand was very shaky. In the local paper there was a report of UFO sightings in the area that week but the verdict seemed to be that they were only Chinese lanterns. All of this does seem far fetched. My wife laughs it off as too much cheese or beer before going to bed. Maybe it is my imagination but the experiences feel very different from normal dreams." Sounds like a classic abduction scenario. Scary, disturbing. We are taught to mistrust our own instincts about things. He says he feels these dreams are different. Trust the feelings. 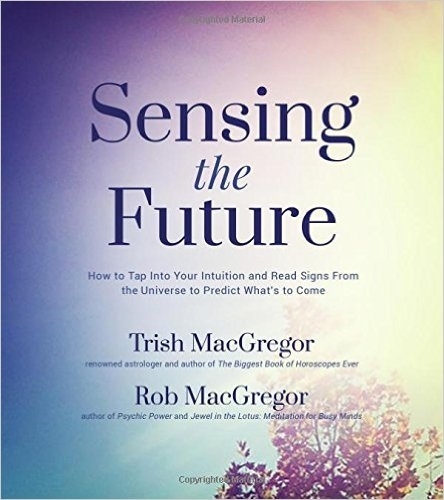 I agree with Trish & Rob - we need to start trusting ourselves in these instances. A young girl had a similar "dream" and told her mother about it. This mom is very intuitive and told her daughter if it happens again to tell the "dream" to leave. The mom's explanation was visitors have to obey universal law and abide by a no trespassing command from us humans. Whether true or not, the message worked and when the same young girl had another encounter she told the visitors to leave, and they did. This young girl has not been bothered in the years since though vividly remembers those two "dreams". Thanks - You are right about how we must trust ourselves / feelings. For many though it's a hard thing to do, there has been a lot of 'brainwashing' over many years / lifetimes. terripatrick: That's interesting, what you say about telling a dream to leave. I've had dreams where I know I'm dreaming and I've told myself I don't have to worry because it is only a dream. Never about aliens though. Agree entirely that there must be other forms of life - even similar ones to ours - somewhere. I'm not really a huge skeptic, and I do believe in the existence of life outside our planet. However, you just described a textbook case of sleep paralysis. I was about to post something along the same lines that Jeremy posted. While I believe in aliens, I also know of the condition called sleep paralysis, and many of these abductions that happen whilst sleeping are explained by it. One day the aliens will show themselves and admit that they have been on this planet since Roswell (1946 I think). They will make out that they are good guys here to help us. Simply ask yourself, "if they are such good luvy duvy helpers, why have they happily watched civilization destroy itself over the past 60 years". They will show great wonders like Jan 1st 2011 with the 1.1.11 wake-up call where approx 75 million people across the world who have seen the 11:11 wake-up call since Jan 1st 1991 will have access to the (ley lines) grid and quite possibly fly using harmonics or astral travel. Some aliens will be 8ft tall like the standard height of angels or "the watchers". In their case the "fallen b'nai Elohim" or men of God, a.k.a "fallen ones". Those of us who have been seeing the numbers now probably have these "angels" dna in our blood which explains why we can sense something wierd, wonderful, awsome and amazing is about to happen. Ley-lines in the astral world are red, yellow and blue and will allow people to access this grid through interception points (standing stones) to this world. Its almost like a train line where stations (stone circles) allow spirits to disembark onto another ley-line. Many ley-lines intersect at Glastonbury which is why that area is so spiritually strong. In the Book of Enoch all people that were contaminated with fallen angel dna are damned to walk this world for all eternity. These spirits are classed as ghosts, demons, nephil spirits, GIANTS, rephiums and raphahs. It is a common misconception by humans to class ghosts/demons as evil because it is not the demons fault that they will never leave this world. This is why demons are so hostile when their land is invaded by humans. rapha means "root", heal, become fresh (reincarnated) where their soul reincarnates at their desired place. Following these numbers (11:11 etc) is a very bad idea. The ancestral spirits will also gladly insert numbers into your dreams if you order (demand) them to. They will tempt you with this pagan new-age stuff if it allows them to torture your soul after you die. Trust me, you do not want to end up in the company of these fallen watchers (ancestral spirits). The level of fear that radiates from these guys will destroy souls in less than 10 minutes. If you know of anyone who has met these fallen watchers, ask them how they felt. They will probably be shaking as they relive their moments of fear. Jeremy and Anonymous are probably right. The fact that these "abductions" almost always happen at night is a strong argument in favor of the dream hypothesis. Especially if another person in the room saw and heard nothing. However, I think there's more to so-called "sleep paralysis" than just a simple medical disorder. You are probably experiencing a state of altered consciousness. I understand how real it feels, because I have it myself on occasion. The presence of menacing beings may be a reflection of your fears, or it may be actual spiritual entities entering the border between normal awareness and paranormal. I have learned to steer the episodes away from fear and toward exploration. Rather than abduction, you may have a gift you haven't learned to control yet. If you are interested, google "astral projection." Good luck! when i was young i used to wake up shaking, and in terrible pain. i also had nightmares but never with extraterrestrials, monsters for sure. I would wake up in pain in my legs, arms that would last for days. to my mother she blamed it on growing pains. awoke one morning with a similar mark on my left foot big toe. that night before i had the worst "growing pains" ive ever had. still have the mark on the left toe. has some substantial mass to it. might take a magnet to it to see if it magnetic. I believe tha u can encounter aliens here on earth.When i was young i saw a ufo hovering over my back yard while catching fireflies.my sibblings had already gone inside and i was the alone ,but my cousin lived across the street and saw it that same night with her parents out thier kitchen window. recently i had a "dream" that a mother alien and her son came to my room and took me to thier planet.now usually in dreams u cant smell things in this one i could i could also feel the mist of their foggy planet against my face. it was a heavenly place to be.me and the boy conversed about normalthings like food and video games . he a a lighter than air device that progeted a mario cart video game after he showed me this device his mother said it was time to leave and took me home the boy said to me befor leaveing that hed be back for me and left. the thing is tho is that they look no diffrent from u or me. yes their eyes a slightly biggerlike the haveso much wisdom that they just apear bigger yes they were pale but the mother was beautiful with extravagant makeup that would be considerd odd here looked perfectly normal there. I just want to say this because this has never happened to me in my 44 years, Last night or this morning the 14th of sep 2013, around 4:30 am I think I was dreaming but it sure seemed extremely real, I was lying on my couch pretty tired I had closed my eyes and it couldn't have been more than a min or so and I felt a pressure enveloping my head but not painful and like a buzzing or humming was all I was hearing I opened my eyes and there was an alien right in front of my face and waving his hands or pushing back and forth close to my ears like he was creating this pressure and humming sound in my head, I tried to speak but only a grunt sound I was paralized, but I honestly think it was because of fear, I was scared shitless, I wanted to grab it but I had fear to do that thinking that if I touched it I would get some kind of disease.I closed my eyes and reopened them and it was gone, I was so scared my body was trembling inside to the max it took at least 10 min to calm down and get up to have a smoke. I have no idea what to think I talk about aliens and things like that but never think about obduction and don't know if my daily thoughts produced this in my head, but next time I will grab this thing and I'm sure I can override my fears, because this was this first EVER in my life I had a dream(?) that has shaken me up this bad.Somebody please tell me what you think, am I about to turn nuts? ?